After two jam-packed days of nothing but CFD mesh generation I’m exhausted and gratified. And unlike Fight Club, the first rule of Mesh Club is to talk about it – a lot. We learned a lot from presentations by engineers and scientists from the Karlsruher Institut fuer Technologie, CRAFT Tech, GE, Voith Hydro Holding GmbH & Co., CEI, Texas A&M University, Celeritas Simulation Technology, Optimal Solutions Software, and the University of Tennessee at Chattanooga. Everyone who attended ensured lively discussions both during the sessions and during breaks. 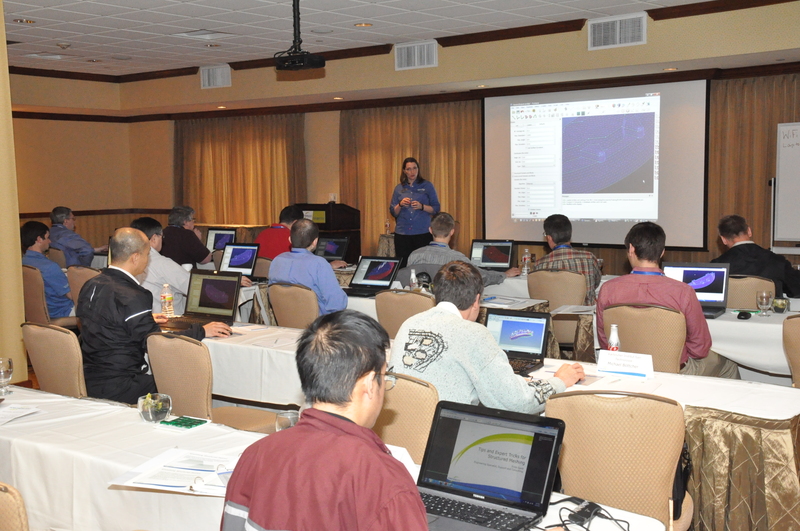 Carolyn Woeber leads a seminar at the Pointwise UGM 2013. Our exhibiting partners and sponsors deserve a lot of credit for helping make the event possible and for sharing their solutions with our customers. Thanks to ANSYS, CEI, Cradle North America, Metacomp Technologies, Tecplot, and Tetra Research. 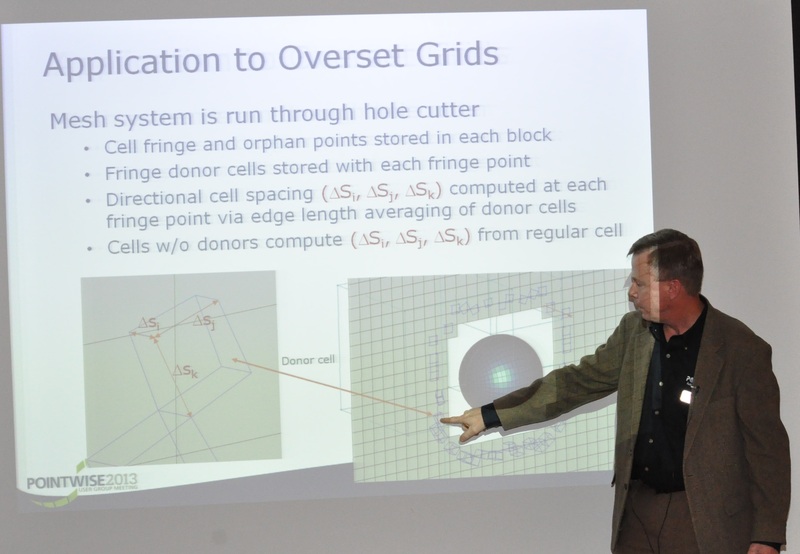 Pointwise’s Dr. John Steinbrenner describes a PDE-based approach to overlap remediation in overset grids. Thanks to everyone who made the Pointwise User Group Meeting 2013 a success. And hope to see all of you (and more) the next time our meshing community gathers.